You may have noticed that we don’t have our own forum here at INJAF. There are a few reasons for this; we think it’s important for our project to remain independent of any forums as we aim to provide information, resources etc. that can be used by anyone, there are some great forums out there already doing some good work and offering sound advice, and (unfortunately!) we all work full time and so we want to focus any spare time we have on getting our site content up to speed. We’ve put this section together to help you find a forum suitable for your needs and level of experience. If we’ve not featured your favourite forum maybe it’s because we don’t know about it yet so feel free to contact us on info@injaf.org and tell us some more about it. Our list is in alphabetical order, it does not indicate that one is better than another. We can’t guarantee that the advice offered will be perfect, but in our experience these forums are usually fairly reliable. However, we cannot be held responsible for anything that happens as a result of any advice given on these forums; it’s up to you to exercise judgement and consider the advice given carefully before you act on it. 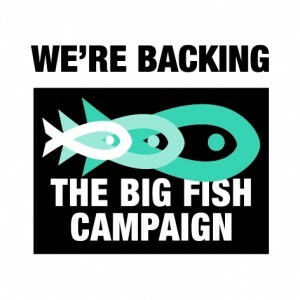 fishlady.co.uk is a general information site with forum attached, the forum is quite new (summer 2016) but has a good community of experienced fishkeepers. fishkeeping.co.uk is a friendly forum popular with newcomers to the hobby. They have some good articles to get you started, and the members will go out of their way to help you get on the right track. More experienced keepers are welcomed too. The site is a nice little ‘community’ in a sea of sometimes over-large forums. planetcatfish.com is run by Julian Dignall and what this forum doesn’t know about catfish (probably) isn’t worth knowing! The cat-e-log is a well respected source of information on catfish and the forum members know their stuff. Julian is currently (2012) writing a series for Practical Fishkeeping Magazine so keep an eye out for some excellent and engaging articles from him. practicalfishkeeping.co.uk is the website for Practical Fishkeeping Magazine. The forum is usually quite busy with a wide range of experience. It has sections for every aspect of the hobby which can look a little daunting at first but take some time to get to know it and you’re likely to find a section suitable for you. There is a hugely varied membership from complete beginners to experienced aquarists. seriouslyfish.com puts the ‘serious’ into fishkeeping! This forum is favoured by experienced fishkeepers and aquarists and tends to attract others of similar experience. Don’t be put off though, they are very welcoming to new members of different experience levels. There is also a Q&A section on the site to complement the forum. Their Knowledge Base is excellent and well worth spending some time with. Icthyology, taxonomy, fish identification and description are some popular areas here.